Deciding to have a baby is an exciting time. If you are thinking of starting or adding to your family it is ideal to start planning 3 to 6 months before you start trying to conceive. There are many things that you can do before your baby is even conceived to create an optimal environment for your future pregnancy. 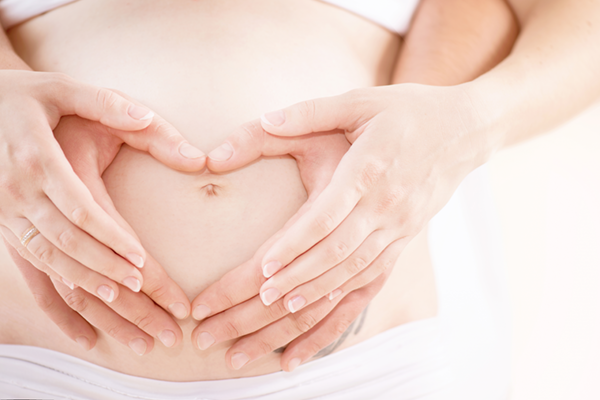 Preconception care can improve the health of both you and your baby. It may also improve your fertility. The best place to start is a visit to your GP. If you can find one that has a special interest in pregnancy that’s even better. Your GP can provide lifestyle advice and support, conception advice, order relevant pathology testing and provide necessary immunisations. Midwives may also attend preconception care and advice. Wherever you seek your preconception care, ensure that you feel comfortable with your care provider and that they tailor their advice and support for your circumstances. One of the first things to consider is your current weight. One way of assessing if you are under or overweight is by calculating your BMI. You can find BMI calculators online to assist you. A healthy BMI is considered between 18.5-24.9. It is known that women who have BMI’s outside of this range may experience more difficulties in falling pregnant. Women who have a BMI above 25 and fall pregnant then you may have a higher risk of developing high blood pressure, pre-eclampsia and diabetes. There are also higher risks of premature birth, stillbirth, babies of low or high birth weight and postpartum haemorrhages. Women who are underweight may have increased your risk of premature birth and low birth weight babies. For some women, it may be extremely difficult and feel overwhelming to obtain a healthy BMI. Rest assured that even small lifestyle changes may help you in the right direction and reduce your potential risks in pregnancy. Even a few kilograms difference may make a huge impact. Reduce your consumption of takeaway, packaged goods, white carbohydrates and sugary drinks. Eat a balanced diet of fresh vegetables, fruits, wholegrain carbohydrates and lean proteins. Increase your consumption of water. Aim to walk a minimum of 10000 steps per day. Look into exercises that are achievable and fun. There are a lot of classes on the coast that allow children to come or that provide a creche. Alternatively, YouTube is full of exercise programs you can do for free and in the privacy of your own home. For those who are already in the healthy weight range, these steps are all still important. A sexual health check-up is important before trying to conceive. Some sexually transmitted infections (STI’s) may not have any symptoms and you may have one for years without knowing. Left untreated they may impact on your fertility, making it harder to fall pregnant. You may also unknowingly pass it onto your partner or baby. Once detected most STI’s are easily treated. The national screening for Pap Smears in Australia has recently changed. This means that screening now starts later and occurs less frequently. The new tests should be first done two years after your last pap smear. If normal it is then repeated every five years between the ages of 25-74. If you are due for a pap smear it is best to get it done before falling pregnant. Rubella (German Measles) is generally a mild illness. However, if you are exposed to rubella during your pregnancy it may lead to miscarriage, stillbirth, cardiac abnormalities and deafness in your baby. Your GP can order a simple blood test to check if you are immune to rubella. If you are not immune, it may be recommended that you are vaccinated against rubella prior to falling pregnant. Folic Acid supplementation reduces the risk of neural tube defects in babies such as spina bifida and anencephaly. The current recommendation from the Department of Health is that women take 500mcg daily for at least 12 weeks before conception and then continue for the first 12 weeks of pregnancy. Iodine requirements increase during pregnancy and breastfeeding. Low maternal iodine stores may impact on the baby’s nervous system and brain development. The Department of Health recommends that women take 150mcgs of supplemental iodine while trying to conceive, during pregnancy and while breastfeeding. There is no known safe level of alcohol consumption during pregnancy. As such it is best to avoid completely while trying to fall pregnant and during pregnancy. Alcohol does cross the placenta, meaning that the baby’s alcohol level is similar to the mother’s when drinking. This can increase the risk of Fetal Alcohol Spectrum Disorder occurring. The negative side effects and risks of smoking are well documented. These risks extend to the baby both during pregnancy and once it is born. The National Quitline can assist you with methods to stop or reduce your consumption of cigarettes. You can call them on 131 848. Ensure that you regularly see your dentist for check-ups and cleans. Dental problems may occur more frequently in pregnancy. Dental treatments can be done safely while you are trying to conceive and throughout pregnancy and breastfeeding. Just be sure to tell your dentist. Review your current medications and supplements. Ensure that you discuss this with your GP. Some medications and supplements will need to be changed or stopped as they may not be safe to take during pregnancy and while breastfeeding. Another useful resource for this is Mothersafe who can be contacted on 1800 647 848. Men play a crucial role in optimising healthy pregnancies and babies. Improving lifestyle choices, cessation of smoking and reduction of alcohol can improve a man’s sperm production. These lifestyle changes will also assist by providing support for you throughout your pregnancy and in the early days of parenthood. Vaccinations may also be recommended, so ensure that he meets with a GP too. Jessica Moran is a Midwife and Registered Nurse. She can be found at The Pregnancy Centre at Mingara Medical where she provides midwifery care, in conjunction with Mingara Medical’s GPs. Call 02 4302 3333 for a preconception planning appointment, early pregnancy services and routine antenatal and postnatal care. References: Department of Health (2018) Clinical Practice Guidelines: Pregnancy Care. Canberra: Australian Government Department of Health.